great feel good story in the Chicago Sun Times about our beloved records! MINNEAPOLIS — A great record store can provide a memorable soundtrack to any road trip. be more friendly at a farmer’s market than at a record store. My experience has been the more used vinyl, the more scratchy the store owner. 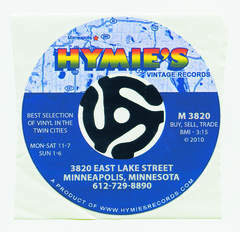 Hymie’s Vintage Records on East Lake Street near the Minneapolis-St. Paul border is not that kind of place. Paul McCartney is scheduled to release a new album called, 'My Valentine,' on May 7 via Concord/Hear Music. The album will mix Paul's takes on standards with a few songs that he wrote in the "standards" style. 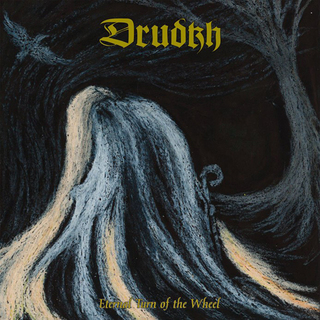 Ukrainian black poet Drudkh's upcoming album is called 'Eternal Turn of the Wheel' and has been scheduled for a February 24th (28th in North America), 2012 release. The new album, which reportedly marks a return to the band's roots and early sound, will be available as CD digipak limited to first pressing and vinyl LP with download card. 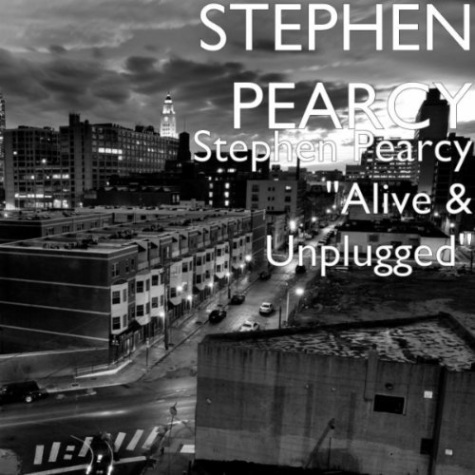 RATT singer Stephen Pearcy has released "Alive & Unplugged", a collection of the band's hits recorded "live and unplugged," via his Top Fuel Records. Billboard magazine has put together a tasting at New York's City Winery and invited a panel of experts — three winos and Billboard's own editorial director, who puts it all in musical perspective — to sound off on 12 artist-branded wines, including those from AC/DC, MOTÖRHEAD, WARRANT, RATT and WHITESNAKE. In 1955, Tennessee Ernie Ford's version of "Sixteen Tons" is number one on both the Billboard Pop and Country & Western charts. The song was first recorded in 1946 by American Country singer Merle Travis. 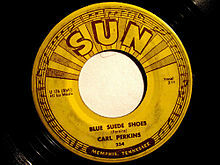 In 1955, Carl Perkins wrote "Blue Suede Shoes." Less than 48 hours later, he recorded it at the Sun Records studio in Memphis. When Perkins played a dance on December 4, 1955, he noticed a couple dancing near the stage. Between songs, Carl heard a stern, forceful voice say, "Uh-uh, don't step on my suedes!" Carl looked down and noted that the boy was wearing blue suede shoes, and one had a scuff mark. Good gracious, a pretty little thing like that and all he can think about is his blue suede shoes, thought Carl. That night Perkins began working on a song based on the incident. His first thought was to frame it with a nursery rhyme. He considered, and quickly discarded "Little Jack Horner..." and "See a spider going up the wall...", then settled on "One for the money..." Leaving his bed and working with his Les Paul guitar, he started with an A chord. After playing five chords while singing "Well, it's one for the money... Two for the show... Three to get ready... Now go, man, go!" he broke into a boogie rhythm. He quickly grabbed a brown paper potato sack and wrote the song down, writing the title out as "Blue Swade"; "S-W-A-D-E — I couldn't even spell it right," he later said. According to Perkins, "On December 17, 1955, I wrote 'Blue Suede Shoes'. I recorded it on December 19." Producer Sam Phillips suggested that Perkins's line "go boy go" be changed to "go cat go." In 1961, in Nashville, Patsy Cline recorded "She's Got You," the follow-up single to her two big hits, "I Fall to Pieces" and "Crazy." Released in late January 1962, the record was so successful that it earned her an appearance on "American Bandstand," became her first hit single in the UK, and led to Cline having her own show in Las Vegas the following November. In 1963, James Carroll at WWDC in Washington, DC, became the first disc jockey to broadcast a Beatles' record on American airwaves. Carroll played "I Want To Hold Your Hand", which he had obtained from his stewardess girlfriend, who brought the single back from Britain. Due to listener demand, the song was played daily, every hour. 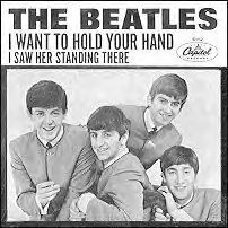 Since it hadn't been released yet in the States, Capitol Records initially considered court action, but instead released the single earlier than planned. We first took on this issue back in 2002 ... and committed ourselves to establishing ONCE AND FOR ALL which radio station FIRST played a BEATLES record here in America. After our series was first published, it was picked up by a number of websites and has been quoted by both BEATLES and Music Historians alike ever since ... in fact, noted BEATLES Historian BRUCE SPIZER even used the results of our research in his OUTSTANDING book THE BEATLES ARE COMING! For the benefit of anyone out there who may NOT have seen it, here is a copy of that ground-breaking series ... now preserved for all the world to see on our brand new FORGOTTEN HITS Website! In 1965, the Supremes and Judy Garland performed at the opening of the Astrodome in Houston. In 1966, the Four Tops' "Standing in the Shadows of Love" entered the Billboard Hot 100. During a ten week stay, the tune will peak at #6. It also reaches #2 on the R&B chart. In 1967, in London, John Lennon and George Harrison threw a party for the secretaries of their official Fan Club, during which their "Magical Mystery Tour" film was screened for the first time. Also in 1969, novelty singer Tiny Tim and "Miss Vicki" Budinger were married on NBC-TV's "The Tonight Show starring Johnny Carson." The couple had a daughter before divorcing in 1977. 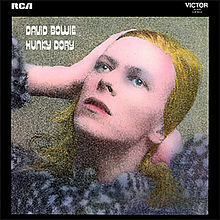 David Bowie released the album 'Hunky Dory' in 1971. In 1975, Aerosmith and Blue Oyster Cult performed at the San Diego Sports Arena in southern California. In 1976, a second remake of "A Star is Born," starring Barbra Streisand, Kris Kristofferson, Gary Busey, Oliver Clark, and Sally Kirkland, opened in U.S. and Canadian movie theaters. It was the first Dolby surround sound film. The story had been told under the same title in a 1937 movie starring Janet Gaynor and Fredric March, and again in a 1954 film starring Judy Garland and James Mason. In 1977, Elvis Costello appeared on NBC-TV's "Saturday Night Live," where producer Lorne Michaels had refused to allow him to perform "Radio, Radio" because of the song's criticism of the broadcasting industry. Part way into his performance of "Less than Zero" on the live program, Costello halted his group and started singing "Radio, Radio" instead. He was never invited back. In 1982, at Maple Leaf Gardens in Toronto, the Who played the "last concert of our farewell tour," which was shown around North America on pay-per-view satellite-cable TV to closed-circuit arena outlets. It was also filmed and taped for an HBO special and the album "Who's Last." In 1982, Karen Carpenter made her last public appearance, singing Christmas carols at Buckley School in Sherman Oaks, California. In 1982, blues singer/songwriter/guitarist Big Joe Williams died at the age of 79. In 1986, Paul McCartney's limo catches fire en route to a TV taping in Newcastle, England. Both he and his wife Linda escape unharmed. In 1987, Robert Plant played with his former group, Band of Joy, in Folkestone, England and, for the first time, played Led Zeppelin songs as a solo artist. In 1986, the Doobie Brothers reunite for a benefit in Palo Alto, California. The performance inspires a reunion tour the next year and leads to one last Billboard Top Ten hit, 1989's "The Doctor". combined 54 weeks established a new record for longest total U.S. chart appearance. The song reached #1 during its first chart run and in its second visit climbed to #14. In 1995, a statue of Frank Zappa was erected in Vilnius, Lithuania. In 1999, in New York, Keith Richards of the Rolling Stones stole a guitar from a fan outside Richards' birthday party at the Russian Tea Room restaurant. The fan refused to press charges, however, explaining, "It's Keith, man." Also in 1999, jazz saxophonist (Just The Two Of Us) Grover Washington, Jr. collapsed and died after taping a four-tune performance for CBS-TV's "The Saturday Early Show." He was 56. In 2004, Elvis Presley's daughter Lisa Marie agreed to sell 85% of his estate to businessman Robert FX Sillerman in a deal worth $100 million. Under terms of the contract, Sillerman would run Presley's Memphis home, Graceland, would own Elvis' name and likeness, as well as the rights to his photographs and revenue from his music and films. Lisa Marie would retain possession of Graceland and many of her father's personal effects. The agreement paid her $53 million in cash and absolved her of $25 million in debts owed by the estate. She also received shares in the new company expected to be worth more than $20 million. Priscilla Presley, Elvis' ex-wife and Lisa Marie's mother, remained executive consultant to the business. In 2005, according to a year-end list compiled by Billboard magazine, U2 had the top-grossing tour of 2005 at $260 million. The Eagles were second, followed by Neil Diamond, Kenny Chesney, Paul McCartney, Rod Stewart, Elton John, the Dave Matthews Band, Jimmy Buffett, and Green Day. In 2006, saxophonist Dennis Payton of the Dave Clark Five died of cancer at the age of 63. In 2009, Julian Lennon said he had finally forgiven his late father for walking out on him as a child. "I realized if I continued to feel that anger and bitterness towards my dad, I would have a cloud hanging over my head." After John Lennon was murdered in 1980, it was revealed that he had left very little to Julian in his will. In 2010, in London, Paul McCartney performed an intimate lunchtime concert at the 100 Club, the historic music venue that was threatened with closure. Approximately 300 fans were treated to a set lasting almost two hours. A campaign to keep the 100 Club open had attracted support from many prominent UK musicians. In 2010, Don Van Vliet, the musician and performance artist known by the stage name "Captain Beefheart," died of complications from multiple sclerosis at the age of 69. 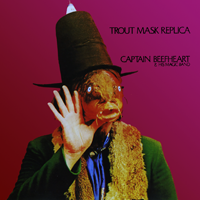 His "Trout Mask Replica" was #58 on Rolling Stone magazine's list of the 500 Greatest Albums of All Time.